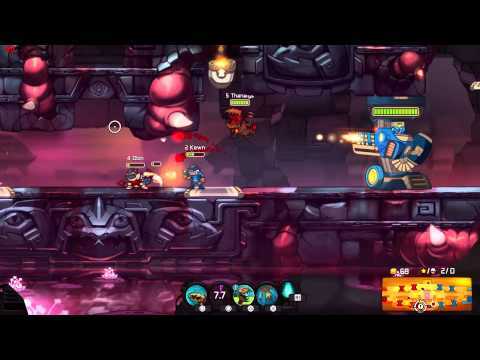 The Awesomenauts are bringing awesome back in this cartoon styled platform shooter. Blast off into a star-spanning conflict in the year 3587 where huge robot armies are locked in an enduring stalemate. In their bid for galactic supremacy, they call upon the most powerful group of mercenaries in the universe: the Awesomenauts!